Owners of Canary home security devices with Membership subscriptions now get one-touch access to local emergency services while they're away from home. 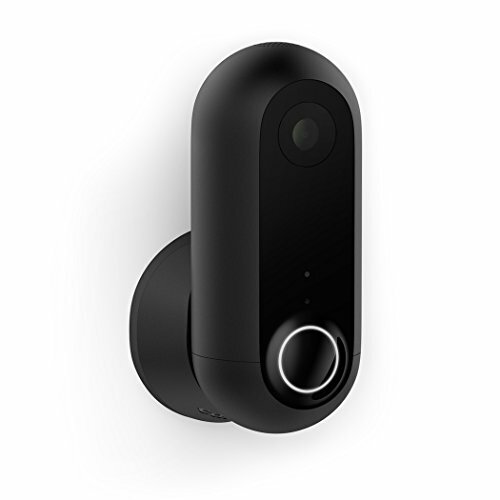 Canary's home security devices are designed to protect you in your home. Now the company aims to protect you when you’re away from home. It announced today it has partnered with Noonlight, an application developer specializing in emergency-response software, to bring a Safety Button to the Canary app. The Safety Button can be activated from the app’s home screen and gives users one-tap access to first responders, sending a signal for help along with the user’s personal information and GPS location. It essentially turns your phone into a personal alarm you can use anywhere in the event of an emergency or any time you feel you’re in danger. To use the feature, you tap the Safety Button icon and then press the Safety Button. Releasing the button triggers a 10-second countdown timer and a prompt to enter your Safety Button PIN. If your situation resolves or it’s a false alarm, enter your PIN to cancel the alarm. If you’re truly in danger and need emergency services, don’t enter your PIN. When the countdown timer reaches zero, your distress signal, personal details, and location will immediately be sent to local emergency services dispatchers. Canary's Safety Button sends an alert with your location to first responders. To get access to the Safety Button, you’ll need to update your Canary app, then tap the shield icon to set up your Noonlight account. The Safety Button is available for free to all U.S. Canary users with a Canary Membership. Those without a membership can sign up for a free trial using the promo code: NOONLIGHT. The new feature is available to all members of a location where a Canary is installed. It’s ease of use makes it look particularly useful for school kids who walk to and from school or sports practice, and elderly family members who might spend much of the day home alone. Canary says the Safety Button expands the company's commitment to improving personal safety and protecting property. Canary already provides Membership subscribers with one-touch access to first responders near their home. It connects them by phone to those local emergency services whether they’re in their house during a break-in or just witnessing one on camera from a thousand of miles away. Earlier this year, Canary launched its Salute First Responders program to donate Canary devices to locally nominated local fire, police, and EMS departments and individuals.